Browsing through a newsagent, you’ll find a multitude of entertaining and lifestyle magazines. This is something we’ve become familiar with: if there is a big celebration coming up like a wedding, an engagement party, or Christmas lunch, these are the magazines we turn to for decorating tips and recipes. So when a new entertaining magazine is launched, it often feels like more of the same: more recipes for Christmas, more decorating ideas and themes for weddings. Kinfolk Magazine, launched online and in print by editor Nathan Williams and his creative team, is anything but ‘more of the same’. 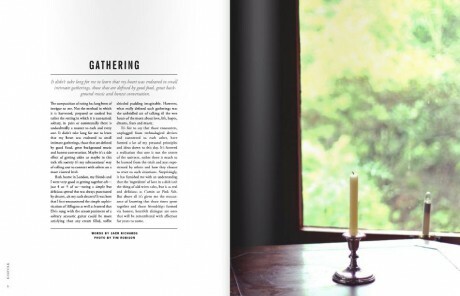 Kinfolk’s philosophy is to focus on smaller gatherings that often go unnoticed in regular entertaining magazines. This focus dismantles preconceptions about what an entertaining magazine looks like and what it should explore within its pages. Seeking to uncover the bonds, relationships and intimate moments we share with family and friends in simpler, everyday entertaining, Kinfolk is a more authentically conceived philosophy of entertaining design. Such an underlying concept is not simply a clever merging of aesthetics and philosophy, but also highlights how modern magazine design can be used to explore things that are often left in the margins of larger magazines. 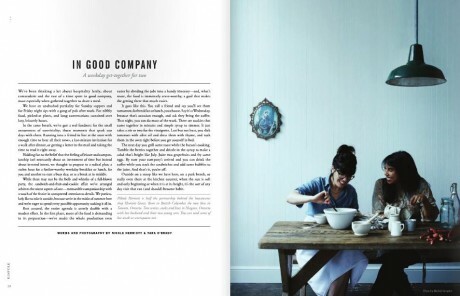 The quality that makes Kinfolk so unique amongst other entertaining magazines is its accessibility. A reader can relate to the intimate and unassuming nature of the publication, which lets simple moments speak for themselves, rather than overwhelming through an aura of extravagance. The team behind Kinfolk have taken an established magazine tradition and shifted its perspective with impressive results. 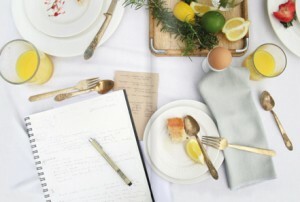 All images Copyright Kinfolk Magazine. 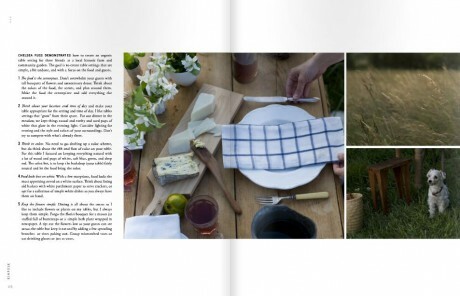 To learn more about Kinfolk Magazine, visit its official website. 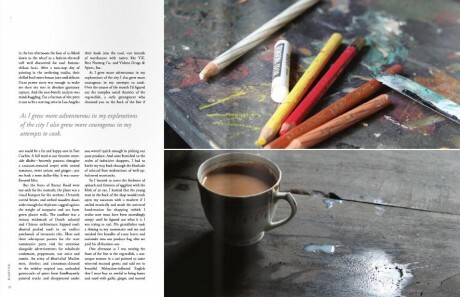 kinfolk is a lovely magazine and so beautifully written. I love it! I really think you should visit a little town in Edison , Washington and a sweet little restaurant called Tweets, the two fellows who run it are great and the rustic decor would fit in so well with your mag.The food is simple but the taste sublime. Honestly it’s worth a road trip.